Fairmont Finds a Body ($2.99) by Cate Lawley: A hound with a nose for trouble and a heart for romance stirs up both in this small-town cozy mystery. Fairmont loves his new lady, Zella, with all the exuberance of a once-abandoned dog. A fluffy dog bed, delicious meals, and exceptional company – what more could a dog want? Everything’s grand… until he sniffs out a dead body. Time Lost ($0.99) by Peter C. Foster: When she finds her daughter’s lifeless body on the floor of her apartment, Deena McCallum turns to an old flame to help her find justice – and revenge. Time Lost is a fast-paced mystery and a love story. It is also a look back at the Sixties and the passions of a generation caught up in the turmoil of the times. Escape from Vietnam ($0.99) by Howard Cohen: After the Vietnam war, Nguyen Thi Lan became one of Vietnam’s most influential women. Now Lan and her granddaughter are being hunted for pro-democracy activities. In communist Vietnam, the most serious crime is advocating democracy. In hiding, with no means of escape, she turns to her former American lover, James Britton, for help. Holly and the Framed Friend (The Holly Lewis Mystery Series) ($3.99) by Dianne Harman: Family secrets. A murdered mother. An estranged aunt. A diary. A vandalized high school. For the young and the young at heart. If you loved Nancy Drew, you don’t want to miss the debut novel in the Holly Lewis series by two-time USA Today Bestselling Author, Dianne Harman. Death in Delmarva ($2.99) by Caroline Taylor: FREDDIE Award Finalist for writing excellence… When Beatriz is stabbed to death outside her apartment, Daphne learns the baby has survived and sets out to find the baby’s missing father. The search for both people leads Daphne to the Delmarva Peninsula and a woman so desperate to cover her crimes that she will kill anyone in her way. Fighting For Anna (Michele – A What Doesn’t Kill You Mystery Book 2) ($0.99) by Pamela Fagan Hutchins: A murdered art dealer. A missing love-child. Can Michele close the book on her neighbor’s mysterious past before a killer sets his sights on her? Readers who like spirited amateur sleuths, high-society scandals, and plot twists that will keep you guessing, will love USA Today bestseller Pamela Fagan Hutchins’ award-winning series. Crisis Point (Sam Driver Thrillers Book 1) ($0.99) by Rob Aspinall: The world is on the brink of war, with Russia and America accusing each other of recent bombings. Enter ex-CIA officer, Sam Driver, betrayed and disavowed in a Siberian prison. Her one shot at freedom: lead a team of enemy operatives on a mission to expose the truth behind the attacks. But will events in her past doom the world to destruction? A Necessary Hell (Harry Brown Thriller Book 2) ($0.99) by Nigel Price: A severed hand is found in a field in Germany. The consequences will reach from war-torn Afghanistan to the highest levels of the government. Ruthless ex-army officer Harry Brown is assigned to the mystery. What follows is a full-throttle thriller that will appeal to fans of David Baldacci and Stephen Leather. This Spells Trouble (Private Eye Witch Cozy Mystery Book 1) ($0.99) by Stacey Alabaster: A paranormal cozy mystery from a USA Today Bestselling Author. Ruby Swift is an aspiring private investigator with mysterious powers. When she learns of her paranormal lineage, she must harness her powers and solve a mystery. If she doesn’t, it could spell trouble for her and everyone in town. Download your copy today! The Tom Dugan Omnibus ($1.99) by R.E. McDermott: Three great unabridged thrillers with over 4,000 reviews averaging +4.5 stars! Don’t miss the Dugan Omnibus at 80% off for the first time ever! “Great depth yet rarely bogs down. Terrific balance of character development, action and suspense!” – Amazon reviewer. The American Candidate (A Jayne Sinclair Genealogical Mystery) ($0.99) by M J Lee: Jayne Sinclair is asked to investigate the family history of a Presidential candidate, but when the man who commissioned the research is killed, she is forced to flee for her life. Why was he murdered and who is trying to stop the past from being revealed? Jayne is caught in a deadly race to discover the truth. Can she discover the secret in time? Flight of the Forgotten ($0.99) by Mark A. Vance: The true story of one of the most closely guarded American military secrets of all time. Intriguing, controversial and thought-provoking, the story traverses fifty years, two generations, and the realities of our physical world. Its triggering event is a tragic, fifty-year-old aviation mystery, officially “forgotten” by the US Government. Savage Lies ($0.99) by Peter Boland: A fast-paced action thriller for fans of Lee Child, which has been featured in two top ten books of 2018. When John Savage is asked to track down a missing girl, he thinks it’s a straightforward human-trafficking case. But what he uncovers is far more shocking than he could’ve ever imagined. Dose Vidanya (Silver Hills Cozy Mysteries Book 2) ($0.99) by Sam Cheever: A death predicting cat, a cook with mad voodoo powers, and a trio of nosy sleuths who are determined to get to the bottom of the corpse in the library… some might say things couldn’t get any weirder. Some would be wrong. A Southern Charms Cozy Potluck (Books 1-3) ($0.99) by Bella Falls: Fill up your plate and grab some sweet tea to enjoy this “potluck” of Books 1-3 in A Southern Charms Cozy Mystery series, where magic and mystery are only part of the Southern Charms of Honeysuckle Hollow! Charli Goodwin and her special magical talents are put to the test when a little magic, murder, and mayhem make life a real witch for Charli. Bewitched and Bewildered (The Triplet Witch Sisters Mystery Series Book 3) ($0.99) by Constance Barker: Triplet witches born five years apart get to ask their absent dear old Dad a few questions when he visits home. But something sinister has arrived with him and no one can guess who is causing the vile destruction. Could it be their own father? Dane Curse (Black Cape Case Files Book 1) ($0.99) by Matt Abraham: In this hardboiled noir, DC comics meets Mickey Spillane when the world’s greatest superhero is mysteriously murdered. It’s a heinous act sure to spark a powered civil war that’ll claim the lives of billions unless a former villain turned PI can find the killer in time. For the Love of Money ($2.99) by Kim Cox: Alan’s best friend is killed in a fatal car crash and he wants answers. He’d never dreamed it was murder. He’s not happy when Chief Jessie Kendall all but accuses him of murder. If you enjoy an intense and captivating mystery, you’ll love For the Love of Money. Death Of a Temptress (Dave Slater Mystery Series Book 1) ($0.99) by P.F. Ford: A missing person, a dead body, and a double life. Plunged into a tangled web of corruption, blackmail, deception, and probably one of the most cunning murders ever, can detective Dave Slater and new partner Norman Norman wade through an ever-widening pool of suspects to find the killer? Day of the Dead (Gia Santella Crime Thrillers Book 7) ($0.99) by Kristi Belcamino: The seventh book in the USA Today Bestselling series. If you like gritty thrillers, indomitable women, and riveting action, you’ll love Gia Santella. Vendetta is her destiny. “Suspenseful, at times dark and twisty, Day of the Dead does not disappoint!” – Amazon reviewer. The Last Lies (Kate Murphy Mystery Book 1) ($0.99) by C.C. Jameson: Police officer Kate Murphy’s life could be better. A controlling husband and work colleagues who bully her around are more than enough to keep her on her toes. But when animals start dying all around Boston, she’ll have to navigate around the lies to overcome her problems, sort out her life, and find the animal killer. The Search for Nina Fletcher ($0.99) by Stephen Hawley Martin: Rebecca has always wondered why her mother suddenly disappeared. But as soon as she stumbles on a clue, she finds that someone will do what’s necessary to keep her from the truth. Rebecca won’t be deterred. She embarks on a suspense-filled quest as she and her handsome friend and would-be lover travel halfway around the world and into harm’s way. The Celtic Dagger (A Fitzjohn Mystery Book 1) ($0.99) by Jill Paterson: When university professor Alex Wearing is found murdered in his study, Detective Chief Inspector Alistair Fitzjohn gets assigned to the case. Fitzjohn’s methodical, painstaking methods are viewed by some as archaic. His relentless pursuit for the killer zeros in on Alex’s brother, James, as a key suspect in his investigation. Trackers (Books 1-4) ($0.99) by Nicholas Sansbury Smith: The entire 4-book Trackers series: Over 1300 Five Star Amazon Reviews and 1500 pages of post-apocalyptic survival fiction and action. Ripped from the headlines, the explosive saga is a realistic depiction of what an EMP attack and the aftermath might look like from one of the genre’s leading voices, NYT bestselling author Nicholas Sansbury Smith. Tattoo (Sutton Mills Book 1) ($0.99) by JG Alva: Bristol, England. A killer is stalking the city streets, targeting beautiful young women, kidnapping them and then torturing them, before finally disposing of their decapitated corpses. He holds them for seven days, and the only clue the killer leaves is a fresh tattoo on their bodies. Desperate, two detectives enlist the help of Sutton Mills. The Dead Don’t Talk (The Danny Ryle Mysteries Book 1) ($0.99) by Lawrence J. Epstein: Danny Ryle is a political fixer. If you need a parking ticket fixed or want to help a damaged romance, Danny is the one you go to. But now he is asked to solve an old murder. He turns to his father – a retired hitman – for help. From the Hamptons across Long Island, Danny seeks clues while he looks for love. Dog Gone Lies (Pacheco & Chino Mysteries Book 1) ($2.99) by Ted Clifton: Tired of his tedious job as a rural county sheriff, Ray Pacheco has withdrawn to a life of seclusion and fishing. But not for long. An out-of-place show dog and a dead body kick-start an adventure with evil links to the past. New eccentric companions; an Apache fishing guide and bait shop owner become extraordinary allies. The Traveling Man (The Travelers Book 1) ($0.99) by Michael P. King: The Travelers… husband and wife con artists who specialize in stealing from other criminals. If you like pulse-pounding action, nail-biting plot twists, and criminal intrigue, then you’ll love The Traveling Man, the first book in this series of sizzling page-turners. Conviction ($2.99) by Kimberly Shursen: Conviction takes us into the world of innocence to prejudice, discrimination, and pride, love and loss, to the far-reaching bonds of family. Six-year-old Lillie Parrish has gone missing. Ex-con T.J. Bennett knows the consequences of breaking parole, but nothing will stop him from trying to find the child who taught him the meaning of family. Ironhand ($0.99) by Hilary Green: 1095. Pope Urban calls on the princes of Christendom to free Jerusalem from the infidel. Ranulph of Erbistock, known as Ironhand, joins him. Almost at the point of death, he is offered a chance to join a new Order of Brothers whose purpose is to care for the sick. But Ranulph is one of God’s warriors. And he will have to fight. Rogue Autonomous (Crimes Of The Future Book 2) ($0.99) by Rahul Bhagat: An expensive sexbot has been vandalized, and the insurance company wants the matter investigated. Martin, an aging, technology challenged detective, is tasked with the job. He reluctantly takes it on, believing he could wrap it up quickly. But little does he realize how quickly he will be dragged into a crime world of blockchain. Finding Answers (A Rescue Alaska Mystery Book 2) ($0.99) by Kathi Daley: He watched the boy skipping rocks. Each hop resulted in an ever-widening web of rings, each ring larger yet less intense than that which came before. Life was like those rings, he mused. The further you traveled, the wider your reach, but the less intense the effect. It was time he realized to claim the inner ring as his own. The Spia Family Presses On (Mobsters Anonymous Mystery Series Book 1) ($0.99) by Mary Leo: Warning: This book may cause cravings for Italian food! Mom and I have been doing everything possible to keep our former Wise Guys on a straight and legal path. Then Cousin Dickey showed up. Now there’s a dead body, a nosey detective, a randy ex-lover, an even more randy imported mobster, and a lucrative olive oil business in jeopardy. Mama Mia! Mummy Knows Best (Wicked Witches of Destiny Cove Book 2) ($0.99) by Sara Bourgeois: When Zoe Magnolia’s mom, Willow, falls head over heels for the head of a traveling history exhibit, Zoe thinks that maybe her mom has a real chance at love. But when the man turns up dead on Willow’s front lawn, the town begins to eye the Magnolias with suspicion once again. Queen of Swords ($2.99) by Jerry Lambert: Georganne begins the epic renovation of an antebellum mansion but falls into an ancient mystery of stolen emeralds, star-crossed lovers, and murder. Hired by the scion of a wealthy family, she must face her feelings for him as well as a handsome and determined specter. Will she uncover the truth behind the ghosts of the past before it’s too late? Hot Flashes/Cold Cases (The Peg Shaw Series Book 1) ($0.99) by Sue Hawley: Peg reluctantly agrees to help the cops bring justice to the deceased, but persistent, ghosts of a local couple. She discovers that cold cases are more difficult to eliminate than hot flashes as she travels into new territory. Her inexperience with murder becomes no match for her determination to rid herself of her uninvited, heartbeat-less guests. Castle Killing (Jill Quint, MD, Forensic Pathologist Book 7) ($0.99) by Alec Peche: Jill & friends are on vacation in the UK and are supposed to meet their friend Nick from Amsterdam in a Cardiff, Wales bar. They know something is up when 2 men in suits pull out badges indicating they’re Det. Inspectors. They continue their vacation making their way north to Scotland, all the while researching who could have murdered their friend. Murder By Illusion ($0.99) by Giles Ekins: Murder By Illusion is a gripping novel of supernatural horror, possession, and one man’s moral disintegration. When failing stage illusionist Charlie Chilton is offered an opportunity by the mysterious Asmodeus Tchort, the deal seems too good to be true. Chilton accepts the offer, though, only to quickly find that something is amiss. Fox (Jessica James Mysteries Book 3) ($0.99) by Kelly Oliver: When Jessica James wakes up half-naked behind a dumpster in downtown Chicago, she thinks at first the hot intern feeding her Fiery Mule Slammers slipped her a Mickey. But after a pattern of similar incidents around Northwestern Research Hospital makes the news, Jessica realizes she was robbed of something more valuable than her book bag. The Shroud Key (A Chase Baker Thriller Series Book 1) ($0.99) by Vincent Zandri: An abducted professor… the holy shroud of Turin… a dig of incredible archaeological significance at the pyramids of Giza and the competing enemies willing to kill for it… it’s all up to Chase Baker to uncover the shroud key and prevent the power of the Jesus remains from getting in the wrong hands! Borderland (A Kyle Dawson Novel) ($2.99) by Peter Eichstaedt: “Brilliantly illuminates the strange world of the U.S.-Mexico border, a world inhabited by ruthless drug traffickers and gunrunners … politicians of all stripes and views, (and) multiple layers of law enforcement….” Timothy Henderson, author of A Glorious Defeat. Mountains and Magic (A Witches of Pine Lake Paranormal Cozy Book 1) ($0.99) by Natalie Summers: When Amalie moves into the house left to her by a mysterious great-aunt, she learns secrets she never knew – she’s a witch, and power can be volatile. Then she hears about an orphaned child who is a suspected murderer. Determined to prove them wrong, Amalie becomes determined to find the killer – before the killer finds her. If the Broom Fits (Wicked Witches of Coventry Book 1) ($0.99) by Sara Bourgeois: Brighton Longfield is kinda bad at life. She’s divorced, childless, and she just got fired… again… Oh, and there’s a dead guy in the ally behind the diner. With a murderer on the loose in Coventry, Brighton’s got to learn to harness her powers to avoid the killer’s snare. Moscow Venture ($0.99) by A. K. Celer: The quest to solve his friend’s mysterious murder hurls John into espionage, the middle of a military coup, and a bio-terror plot to kill Americans. Can he avenge his friend’s murder, save countless America lives, and help derail the coup? Of Blood Exhausted (Sir Blandford Candy Adventure Series Book 3) ($0.99) by Jemahl Evans: 1644. England burns with the Civil War. Blandford Candy, rake and spy, is sent to Amsterdam to investigate missing weapons shipments. He finds himself drawn into a hunt for a deadly assassin, as he discovers a twisted plot with international implications. Mac Travis Adventures Box Set (Books 1-3) ($0.99) by Steven Becker: Three full-length books from bestselling Mac Travis Adventure series by Steven Becker. This action-packed thriller box set includes Wood’s Reef, Wood’s Wall, and Wood’s Wreck. Amazon reviewers are praising it as “great read and entertainment”. Flo Charts (Silver Hills Cozy Mysteries Book 1) ($0.99) by Sam Cheever: Two new friends, a death-sniffing cat, a pig with a trough made from a rocket, an array of entertaining suspects, and a missing tank. What could possibly go wrong? “This is a fun-filled cute cozy mystery that is enjoyable for all ages.” – Amazon reviewer. Chasing the Orchid ($2.99) by Michael Benson: Chasing the Orchid will leave you guessing what is real and what is an illusion. Witness a man reach his breaking point and find out if love will see him through his nightmare. “This story of a man losing his mind and trying to save his sanity was the best thing I have read in years” – Amazon reviewer. No Justice (No Justice Series Book 1) ($0.99) by JK Ellem: Ben Shaw is young and good looking. He certainly turns heads when he steps off the bus in the small town of Martha’s End in Kansas, a good town filled with bad people. Women have gone missing and the Morgan Family brutally run the town. Shaw’s not a cop or an assassin or ex-military. He’s nothing special. But he’ll bring justice to this place. Other People’s Skeletons (The Rebecca Schwartz Series Book 5) ($0.99) by Julie Smith: Rebecca Schwartz, “Jewish feminist lawyer,” as she’s fond of saying, thought she knew her best friend – and her boyfriend. Not to mention her family. But everything’s about to change. Secrets spill out of these pages like hornets out of a nest, each with its own distinct sting, as author Smith weaves together a thrill-packed and complicated mystery. The Last Train (Detective Hiroshi Series Book 1) ($0.99) by Michael Pronko: When an American businessman in Tokyo turns up dead – by train – Detective Hiroshi Shimizu is called away from his white-collar crime investigations to help track down the killer. Hiroshi scours Tokyo’s sacred temples, corporate offices, and industrial wastelands to find out why one woman wants her final revenge – which just might be him. Murder in Chicago (Northwest Cozy Mystery Series) ($3.99) by Dianne Harman: Forty years in the mob and his karma has him on its radar. It’s a game of cat and mouse… will Al live long enough to enjoy the future with Cassie? Or will Red, his faithful dog, be lying vigil by his coffin? Find out in the latest nail-biting installment of the Northwest Cozy Mystery Series by a two-time USA Today Bestselling Author. Media Justice (A Marc Kadella Legal Mystery Book 3) ($0.99) by Dennis Carstens: In the third Marc Kadella legal thriller, an adorable – and photogenic – two-year-old girl is kidnapped. When her remains are found, her 22-year-old widowed mother Brittany is charged with her murder. But before she can even be charged she’s been tried and convicted by the media, at the center of which is Melinda Pace, television personality. Herbs and Homicide (The Faerie Apothecary Cozy Mysteries Book 1) ($0.99) by Astoria Wright: In the quaint countryside of Moss Hill, human and faerie customers visit The Seelie Tree Apothecary Shop. Carissa, the half human/half-elf owner, is devastated when a fae customer dies in her shop – and she’s accused of the murder! But the victim was more than just a faerie and finding the real killer is difficult in a town full of magical beings. The Silent Woman (Cat Carlisle Book 1) ($2.99) by Terry Lynn Thomas: When Catherine Carlisle discovers that someone in her household is passing her husband’s classified air ministry documents onto Nazi sympathizers, she agrees to help thwart the dangerous espionage efforts. When her husband is murdered, Cat finds herself pitted against a cunning foe who grows more desperate as Cat gets closer to the truth. Until the Ice Cracks (Eldísvík Series Book 1) ($0.99) by Jan Turk Petrie: A ground-breaking Nordic noir thriller set in the very near future. It begins with audacious mass murder by a seemingly invisible killer. Homicide Inspector Nero Cavallo must identify her before she strikes again. Meanwhile, a young man is captured by a ruthless gang who aim to cause chaos to Eldísvík city. Crazy in Paradise (Paradise Florida Keys Mystery Series Book 1) ($0.99) by Deborah Brown: Welcome to Tarpon Cove. Madison Westin has inherited her aunt’s beachfront motel in the Florida Keys. Trouble is she’s also inherited a slew of colorful tenant’s – drunks, ex-cons, and fugitives. Only one problem: First, she has to wrestle control from a conniving lawyer and shady motel manager. Wicked Innocents (The Frontenac Sisters Book 1) ($0.99) by S.H. Livernois: She’ll ruin everything, that little devil. After so many tortuous, lonely years, I’m finally free. I can do whatever I want, I can breathe fresh air. I can breathe. No one is going to take that away from me. No one. I don’t care if she is a little girl. I don’t care if she’ s my daughter. She must be stopped. What Can’t be True (Jake Houser Mystery Series Book 1) ($0.99) by Bo Thunboe: Secrets. Corruption. Family. When Detective Jake Houser links members of his own family to murder, powerful forces begin destroying evidence and leveraging his department against him. As Jake closes in on the truth, he learns just how far outside the system he’s willing to go to achieve true justice. And what it will cost him. The Cold Cold Sea ($0.99) by Linda Huber: It was August 15th. It was the day her daughter vanished. 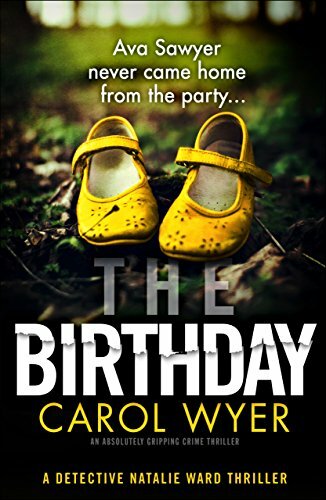 Maggie is plunged into the darkest nightmare imaginable when three-year-old Olivia disappears on what should have been the perfect family holiday. The tide ebbs and flows, and summer dies, but no-one knows what happened to Olivia that sunshiney day at the beach. Double Blind (The Kate Benedict Series Book 2) ($0.99) by Carrie Bedford: Three people now have the death-predicting auras Kate Benedict can see despite her most fervent wishes. She’s had the dubious gift for a year now, and suddenly there’s no longer any ignoring it. Her best friend, Anita, refuses to believe in their existence as well – even when one appears over Anita’s boss. And then Anita develops her own aura. Deadly News (A Britton Bay Mystery Book 1) ($0.99) by Jody Holford: Molly Owens is the new editor for the Britton Bay Bulletin. She’s excited to settle in this adorable seaside town and most of the residents are great. Particularly the charming and handsome Sam. But one of her co-workers is less than pleased by her arrival. When he ends up dead, finding his killer becomes her top story. Finding Justice (A Rescue Alaska Mystery Book 1) ($0.99) by Kathi Daley: Harley receives a letter with a photo from a friend stating that if he should turn up dead the man in the photo is the one who killed him. When the man who sent the letter is found dead only two weeks later, Harley comes to Rescue Alaska to find the man whose photo he was sent. He Will Kill You ($0.99) by Charlie Gallagher: Perfect for fans of Kimberley Chambers, Damien Boyd, Rachel Abbott, Patricia Gibney or Mark Billingham, this stunning race against time is an action-packed thriller full of twists… Grace Hughes is a prisoner in her own home. Tortured by her horrifically violent partner, she dreams of safety and freedom. Can Detective Maddie Ives get her safe? Eagles Rising (The Augustus Caesar Saga Books 1 & 2) ($0.99) by Richard Foreman: Books 1 & 2 in bestselling author Richard Foreman’s epic Augustus series are now available in this must-have collective edition. Perfect for fans of Roman historical fiction, this box set “is drenched in both blood and wisdom – and puts Foreman on the map as the coming man of historical fiction” – Saul David, author of the Zulu Hart series. The Leprechaun’s Loot (The Lucky Dill Deli Cozy Mystery Series Book 3) ($0.99) by Constance Barker: When Lightning’s emerald dagger is stolen at the annual St. Patrick’s Day dance, heads will roll. The deli girls are on the case and many accusations are tossed about. Can they figure out the who and why? And is romance in the air for a certain couple? All Murder Is Local (A Francis and Alicia Mystery Book 1) ($0.99) by Geoffrey Hild: When Alicia, an American artist working on a restoration project in Chihuahua, Mexico, is accused in the shooting death of the project’s director inside a locked museum, she calls her ex-husband, Francis. If Francis were a detective, rather than an industrial engineer, maybe helping Alicia to prove her innocence wouldn’t seem nearly so impossible. The Dark Road: The Beginning (Zack Tolliver, FBI Series Prequel) ($2.99) by R. Lawson Gamble: A new graduate of the Academy, FBI Agent Zack Tolliver is dropped into a strange land and culture and immediately assigned to a missing person case with links to sheep mutilation and murder. He must rely on his Navajo partners for success and his own safety. But to them, he is a foreigner. Zack must earn their respect. The Bear and the Wolf (Van Der Beer Book 1) ($3.99) by David Alexander Greentree: When al-Qaeda obtain a Nazi cache of chemical weapons, the Wolf has the tools to create the Islamic State of Europe. Only the Bear stands in his way. Amazon reviewers are praising this book for being “thrilling, explosive fun” and ” exciting and engrossing”. The Greenway ($0.99) by Jane Adams: “Few debut novels achieve this level of suspense. The Greenway lingered in my mind for days. It takes the psychological suspense novel into new realms of mystery.” —Val McDermid, Manchester Evening News. “A haunting debut.” —Minette Walters. “Compellingly told and rich with psychological insight.” —Independent. Quiet Fury (Promise McNeal Mysteries Book 6) ($0.99) by Morgan James: In her latest North Carolina mystery, retired psychologist Promise McNeal sleeps with one eye open after the circus magician Reznik whispered he’d be waiting for her and then disappeared. Now, months later, security cameras in the underground corridors of Asheville’s Biltmore Mansion have captured Reznik on video. He’s back! And Promise needs to know why. Macaron Massacre (Murder in the Mix Series Book 10) ($3.99) by Addison Moore: Free in KU! A standalone book. Lottie Lemon has a bakery to tend to, one too many suitors, and the supernatural ability to see the dead – which is always a warning for ominous things to come. Murder strikes close to Lottie’s family, and oddly enough, this is one case she’s willing to let grow cold. Living in Honey Hollow can be murder. A Frosty Mug of Murder (The Grumpy Chicken Irish Pub Series Book 1) ($0.99) by Constance Barker: What’s a grumpy ghost chicken doing in an Irish Pub? He’s giving out clues to help solve the latest murder in town. But this group of wisecrackers needs more help than a haunted clucker can provide. Will they solve the crime or end up like the ghost chicken? Crescent City Murder (Jill Quint, MD Forensic Pathologist Book 8) ($0.99) by Alec Peche: Jill Quint, MD gets a call from Alicia Hudson, whom she trained with. Now a pathologist for NOLA, Alicia has a young man on her autopsy table that the family believes died from evil spirits per the police report. After the two pathologists find poison in the victim’s water jug, Jill and friends find out how unsafe this part of Louisiana can be! Hypnotic Assassin (Sicariidae Series) ($0.99) by Gus Mavencamp: She can literally kill with her eyes. How do you stop an assassin who is the master of hypnotism? A group of corporate vigilantes have sent their most deadly soldier, a woman who can hypnotize her victims by merely looking at them in the eyes. Her target – a pharmaceutical behemoth. Can law enforcement deal with her seductive and persuasive skills? Bravo Foxtrot (Witness Protection Book 7) ($0.99) by Holly Copella: An Army deserter on the run brings mayhem to a retired Navy SEAL team when his teenage daughter is caught in a mercenary’s cross-hairs. “Witness Protection 7: Bravo Foxtrot” is the thrilling, action-packed sequel to the “Witness Protection” series. The Saint of Baghdad (CJ Brink Book 1) ($0.99) by Michael Woodman: As the sole survivor of a brutal terrorist kidnapping, CJ Brink is an unlikely vigilante. He’s damaged goods—a broken hero. But he’s driven by promises made to the dead and by puzzling questions. Like who set them up and why? The answers are buried in his bloody past, but with his life pinned to a target, can he survive long enough to dig them out? Jackal (Jessica James Mysteries) ($0.99) by Kelly Oliver: Sent off to Las Vegas in search of her biological father – a washed-up magician called The Mesmerizer – Jessica arrives in town penniless and with nowhere to turn. She ends up crashing on an old school friend’s couch and getting a job as a hotel maid. Magical Cool Cat Mysteries Boxed Set (Volume 2) ($0.99) by Mary Matthews: If you’re a cat, you only live nine times. If you live them right, nine is more than enough to be able to solve the mysteries of the universe! Follow along as a group of cool cat sleuths find clues as intoxicating as catnip. These magical cats solve crimes with fun-loving 1920s detectives.